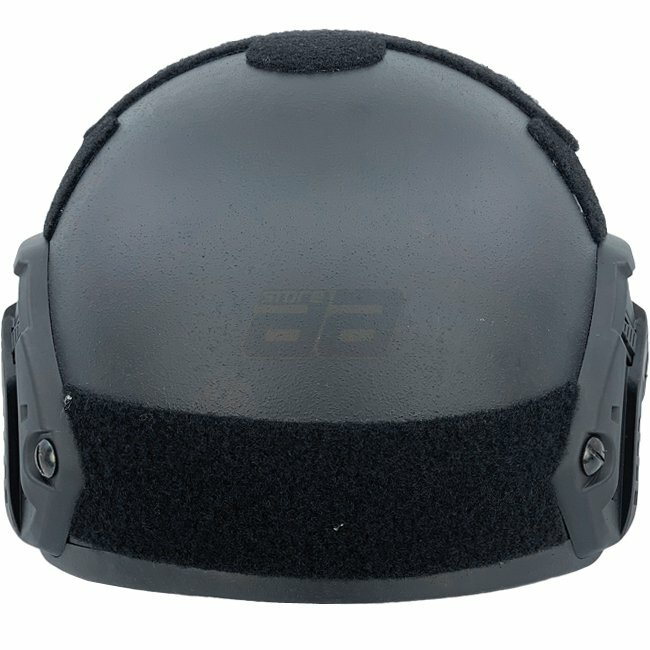 You are looking for a ballistic helmet? The difference is in the details, a comparison before buying can be worthwhile! The Pitchfork FAST Ballistic Combat Helmet comes with modern Skeleton side rails, which have openings for attaching cable ties over the entire length of the rails. This is especially important for the safe routing and installation of cables, for example when using night vision devices with an external battery pack. 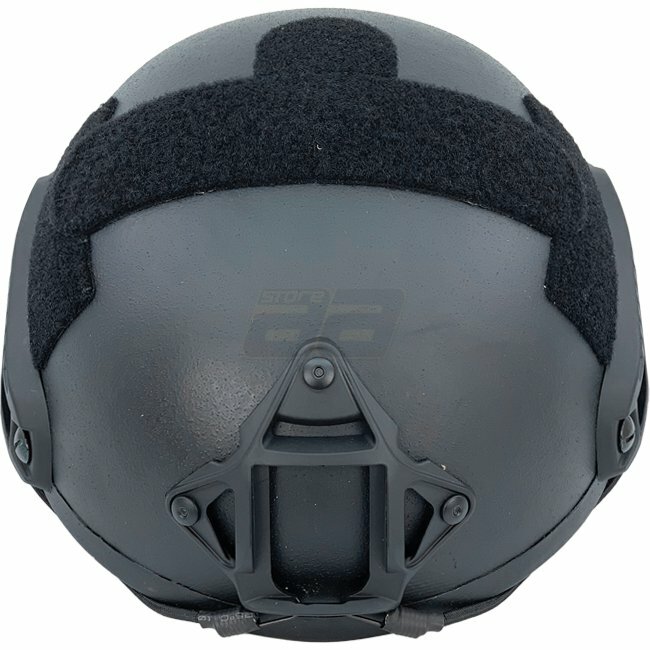 The front-mounted night vision mount is also a modern skeleton version with openings for cable ties. 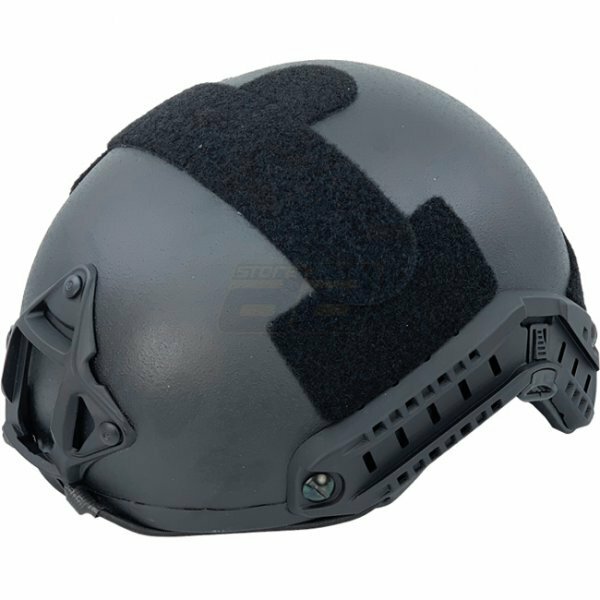 The high-quality hook & loop fastener is installed with 3M adhesive on the smooth helmet surface, which ensures a tight long-term grip. Attached equipment remains securely in place. 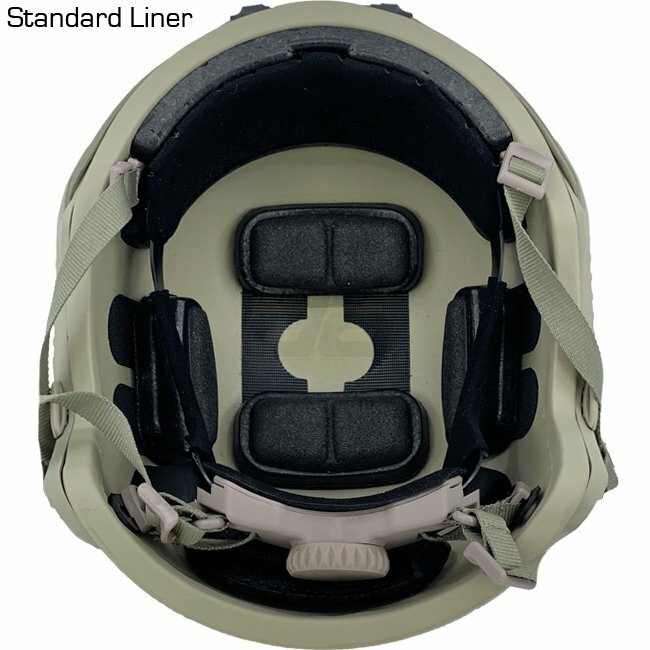 The inner lining consists of soft cushions that can be variably installed for a perfect fit. The size adjustment wheel on the Standard Liner is rubberized for excellent grip, greatly simplifying handling with gloves. Unlike cheaper alternatives, the wheel does not open by itself under load. 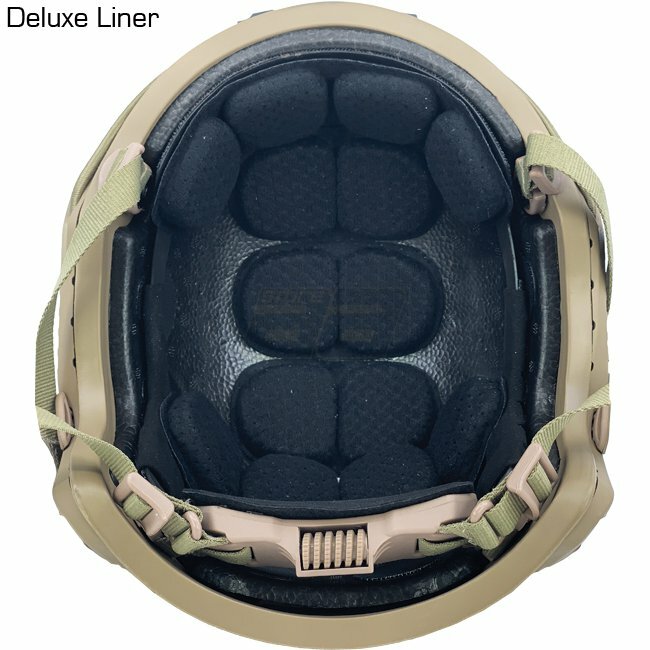 The Deluxe Liner has even more padding and the adjustment is done via a flat control dial.